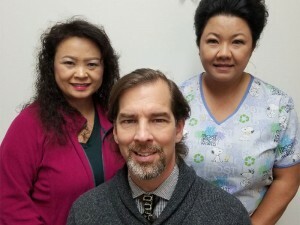 At Moua-Lor Chiropractic & Acupuncture we take excellent care of our patients. Whether you have been in a car accident, sustained a work injury, have neck, back pain, chronic pain, or headaches, we can help. 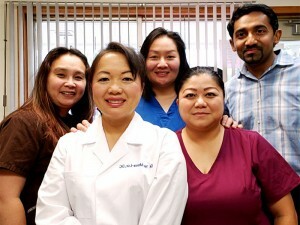 We treat our patients like family as soon as they walk in the door. We always take the time to get to know our patients and their conditions to help them get the best care possible. We speak with all our patients about their conditions and discuss how chiropractic care can benefit them. If we think that chiropractic care is not the best option, and that our patient needs to be referred to another doctor, we inform the patient. We want everyone to receive the right care for their injuries, and help to return their bodies to proper alignment and great health. The benefits of chiropractic go far beyond relieving back and neck pain. Chiropractic is part of a pain-free lifestyle. At Moua-Lor Chiropractic & Acupuncture we provide services to help treat all these ailments and more. We offer chiropractic care as well as acupuncture, cupping, and massage services. We also offer lifestyle advice, teach patients corrective exercises, and provide nutritional counseling as well. Our goal is to help all of our patients stay healthy and properly aligned to keep the body functioning effectively. Please explore our website and see all that we have to offer.